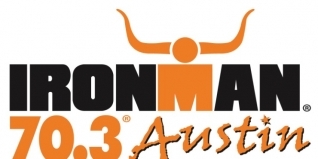 After Laura Siddall had earned a podium spot at Mandurah in Australia, Uplace-BMC team member Corinne Abraham was managing to equal that at Ironman 70.3 Austin, in what was a very welcome return to racing after an extensive period out with injury and illness. We spoke at length to Corinne earlier this year, an athlete who at her very best is world class, as demonstrated by Regional Championship Ironman victories in Melbourne and Frankfurt. After surgery earlier this year and as a result missing Kona, Corinne has been short of training time and certainly didn't go into the race with full fitness, but a third place finish started with only the 15th best swim and ended with a strong half marathon, is a good base to take into her late season target of Ironman Cozumel on 29th November. I've always considered that Corinne's skills are more suited to the longer (Ironman) distance, so hopefully her body is now back in one piece to allow her to get back to her best. A podium should be a nice confidence boost too. Speaking to Uplace-BMC media, Corinne said "I couldn't push myself on the bike, it felt like I missed a 6th gear”. On the run, “I felt strong but I tried not to rush myself, instead I focused on keeping my form and making up time step by step”. We said in the weekend preview to look out for Andrew Starykowicz (USA) on the bike in the men's race, the Ironman and Ironman 70.3 bike split 'world best' record holder, after his recent 1:56:11 split at 70.3 Miami. While the course in Austin wasn't conducive to quite such headline grabbing figures, Starykowicz did once again set the fastest bike time (2:08:38) as, along with Aussie Sam Appleton (2:09:04), the pair put significant time gaps into their rivals. That fastest bike time was also set despite having a puncture early in the race - a case of what might have been?